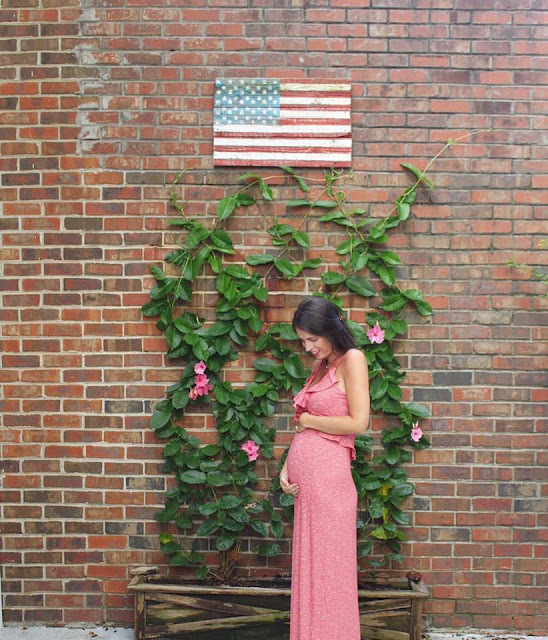 Choose to be Happy: hello, third trimester! eeeek! we are officially in our third trimester over here!! and i am so excited to say that! it feels so much more legitimate now that i am twenty-eight weeks in! the bump is here for real. you can't miss it :) baby girl is moving lots and lots these days! it's still just the most mind blowing amazing thing. what a miracle. a total miracle. and we soon to be parents have been busy getting ready for her arrival in twelveish weeks! her nursery is coming along and it is by far the sweetest room in the whole house. and a few weekends ago we took a child prep class, ha! six whole hours of everything baby !! and it flew by. pretty sure we could use a whole bunch more just like them. It was so well done and we left feeling a little bit more knowledgeable, a little less scared, and even more amazed at just how incredible the human body is and what a miracle life is!! so here we are at twenty-eight weeks! wanting to pause this time in our lives and these sweet baby kicks but also wanting to fast forward to september and meet our girl!! soon enough!